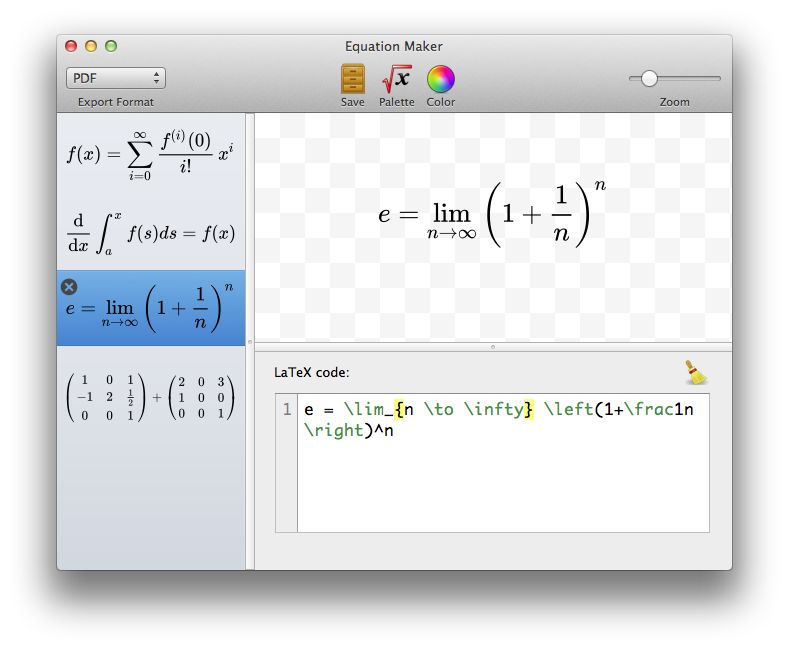 Typeset resolution-independent mathematics using LaTeX syntax. Drag and drop them into popular Mac apps such as Pages, Numbers, Keynote, and Microsoft Word. Drop into Finder to save as an image. No large LaTeX installation required. No internet connection required.